Mothers day may be over but it doesn't mean you shouldn't treat her to more gifts. Neiman Marcus, the clothing and jewelry company are offering a "Gift Of Beauty" as a GWP for anyone who makes over a $100 purchase. Neiman Marcus is a long standing brand, originating from the USA that has been around selling premium products for over 100 years.These gifts offer a selection of wonderful fragrances and even better looking bottles. These artistic and creatively designed GWP items are perfect for treating your mother or a loved one. 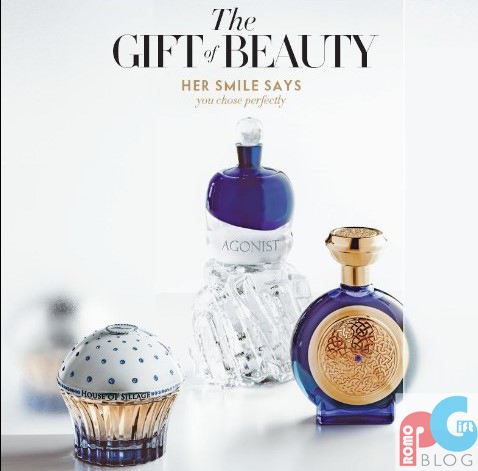 The great thing about this GWP is that it offers a selection of shapes, fragrances and designs to make the gift perfect. Premium products and their branding can be easily sold to some and not to others, with the price tag being the major rejection point. With a gift with purchase that is especially as good looking as these products, it can give more reasoning and drive for an indecisive customer to complete the purchase. Using gift with purchase on a premium product can also act as a reward to those that spend over $100 - creating brand loyalty through appreciation to the customer. The gifts can also be a great way in getting the companies name known in the market as the gifts maybe seen by a potential customer and loved before they've even had chance to know the company itself and what they sell. We would like to thank Neiman Marcus for an insight into these amazing GWP perfume bottles that are certain to catch anyone's eye and even more so anyone's heart.